Pitahaya or dragon fruit is the fruit of certain cacti species indigenous to South America. It is also commonly found in the countries of China, Thailand and Vietnam. The dragon fruit derives its name from a South-East Asian legend wherein the fruit was supposed to be disgorged along with the last breath of a dragon slain in battle. Though the availability of the fruit is yet limited, it is slowly gaining in popularity across the world. The dragon fruit is one of those exotic fruits that have countless benefits to offer for your skin, your hair and for your overall health. While the benefits are too numerous to be all stated, here are some of the benefits of the dragon fruit. Ageing is caused by cellular damage that occurs on account of the free radicals loitering around in your body. Though this pretty much is a natural process, it can turn conspicuous anytime and this is exactly what worries every woman. Dragon fruits are rich in antioxidants that help fight the free radicals and slow down the ageing process, thereby making your skin look much younger and smoother. 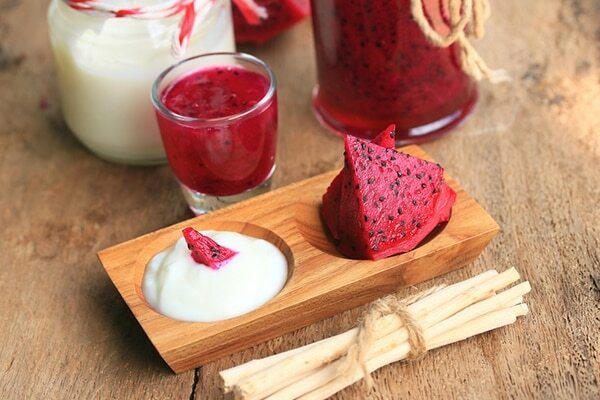 Make a face pack using dragon fruit and yogurt and apply it at least once a week for more effective results. Acne can be pretty troublesome and it often tends to pop out especially when you have an important day ahead. But mourning over those unexpected pop-outs is not going to help you get rid of them and neither is going from one market to another looking for viable acne solutions. Dragon fruit, on the other hand, is full of the vitamin C that can help you get rid of acne effectively. Make a smooth paste from the dragon fruit and apply it on the affected areas using cotton balls. The sun can be pretty harsh on your skin and if you leave your skin unprotected, it can cause severe blisters as well. 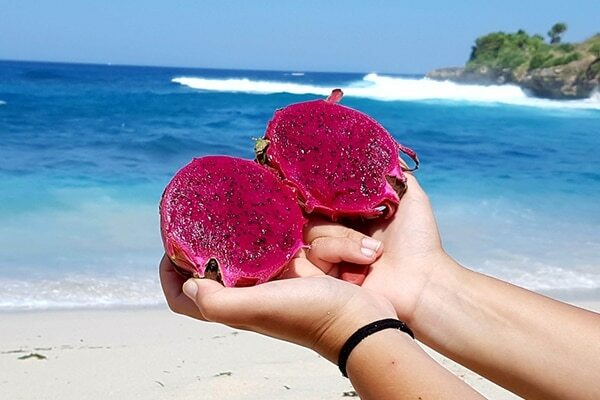 A pack made from dragon fruit can prove to be extremely helpful and effective in soothing all the redness and inflammation caused by the scorching sun. 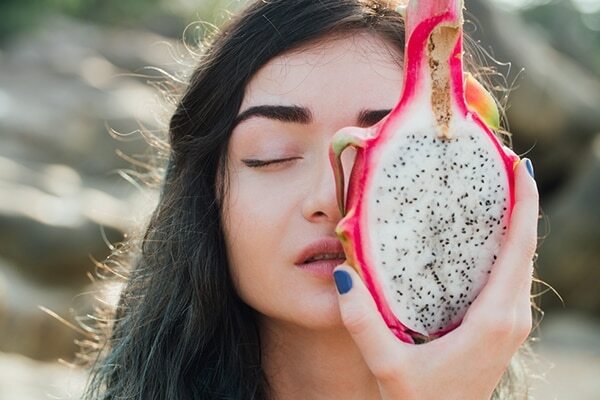 The ingredients present in dragon fruit, in combination with vitamin E, help protect your skin against the harmful UV rays of the sun and also help in soothing sunburns. 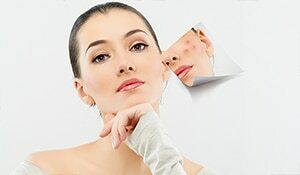 Obtaining and maintaining healthy and glowing skin can seem to be a pretty difficult and tedious task. However, by keeping a watch on your diet and exercising regularly, you’ll soon see a positive change in yourself and in your skin. Adding dragon skin to your diet can make a huge difference in this regard. 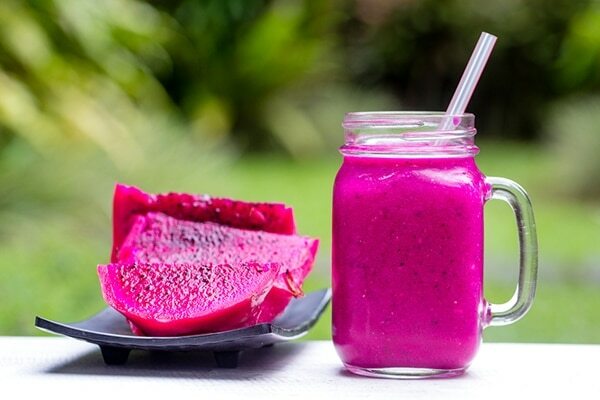 Drinking one glass of dragon fruit juice is an excellent way to start your day. 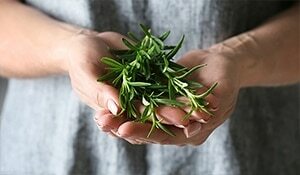 It is not only healthy but also helps remove all the toxins from your body, giving you fresh-looking, supple and glowing skin. Dragon fruit is high in water content and helps keep your skin hydrated, which is all the more essential if you have dry skin. Ensure that you add dragon fruit to your diet especially during the winters to save your skin from all the perilous effects of the cold, harsh weather.